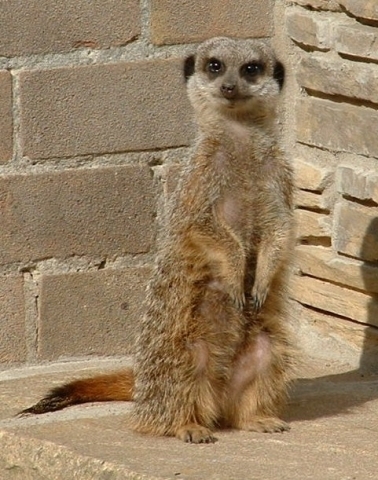 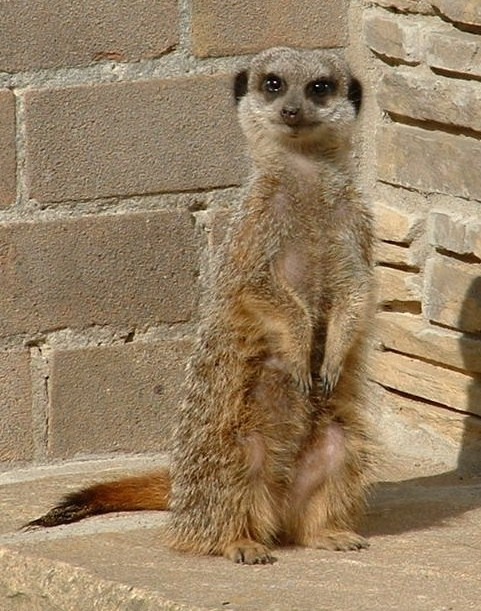 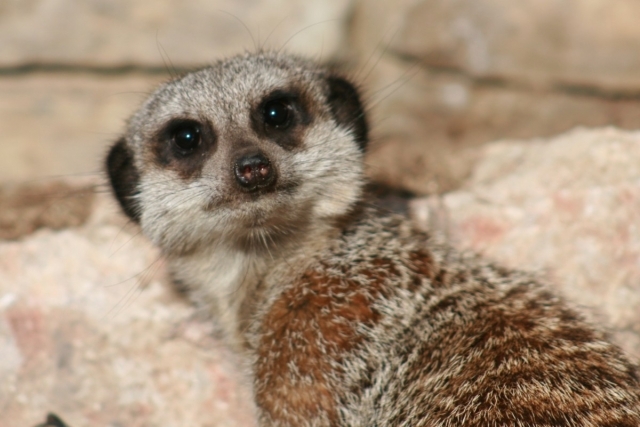 The meerkat or suricate, Suricata suricatta, is a small mammal belonging to the mongoose family. Meerkats live in all parts of the Kalahari Desert in Botswana, in much of the Namib Desert in Namibia and southwestern Angola, and in South Africa. 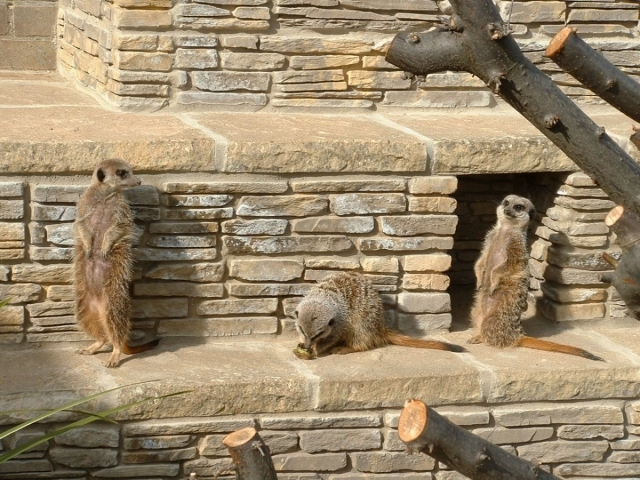 A group of meerkats is called a “mob”, “gang” or “clan”. 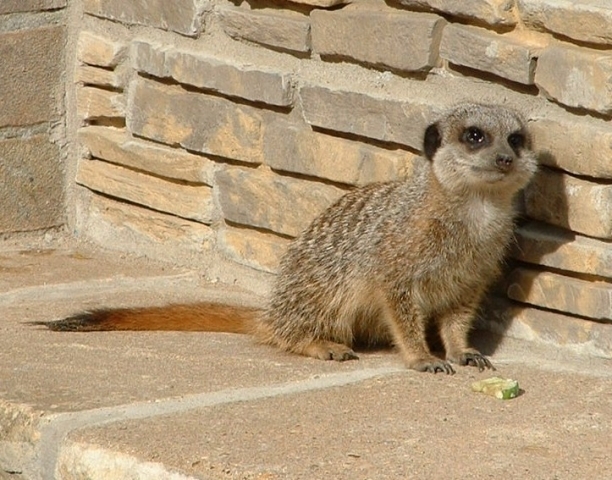 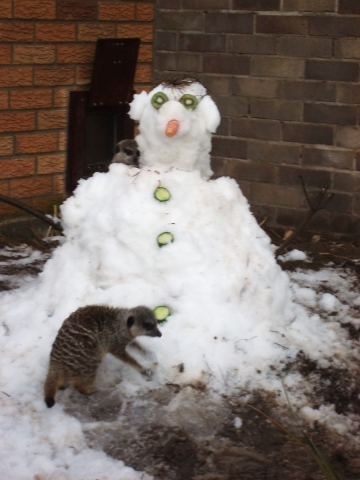 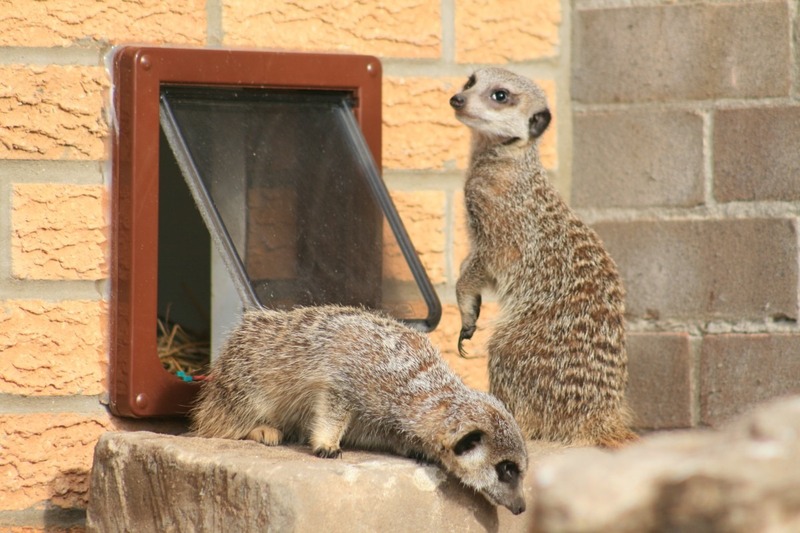 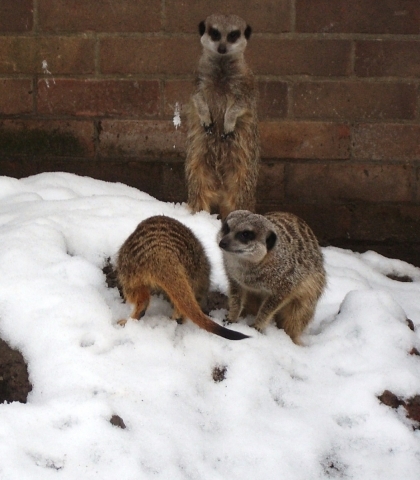 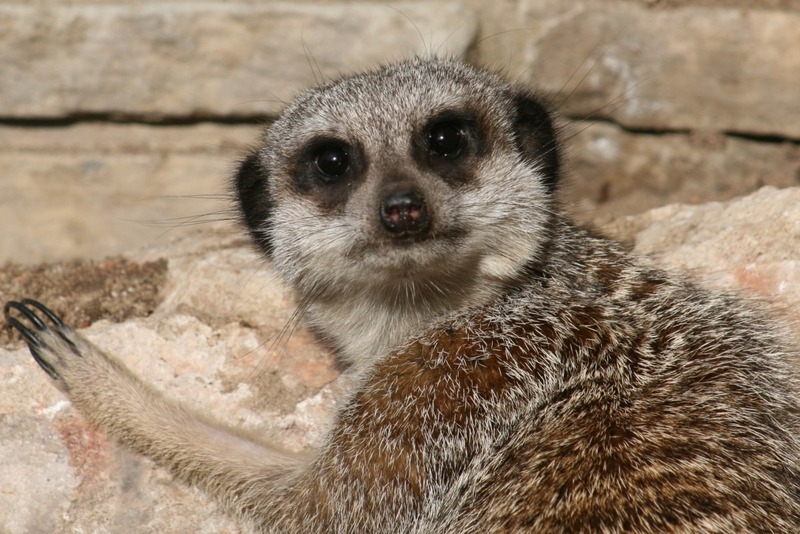 A meerkat clan often contains about 20 meerkats, but some super-families have 50 or more members. 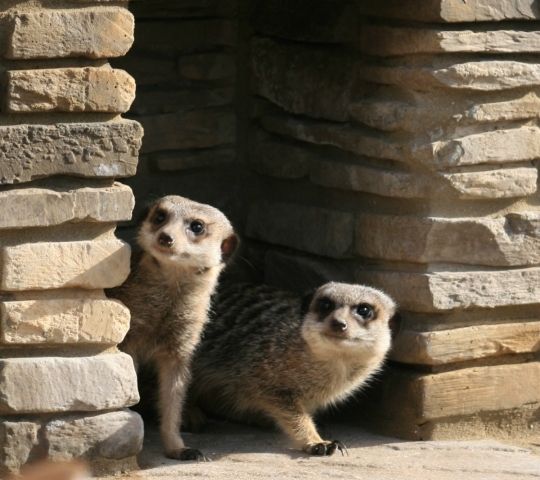 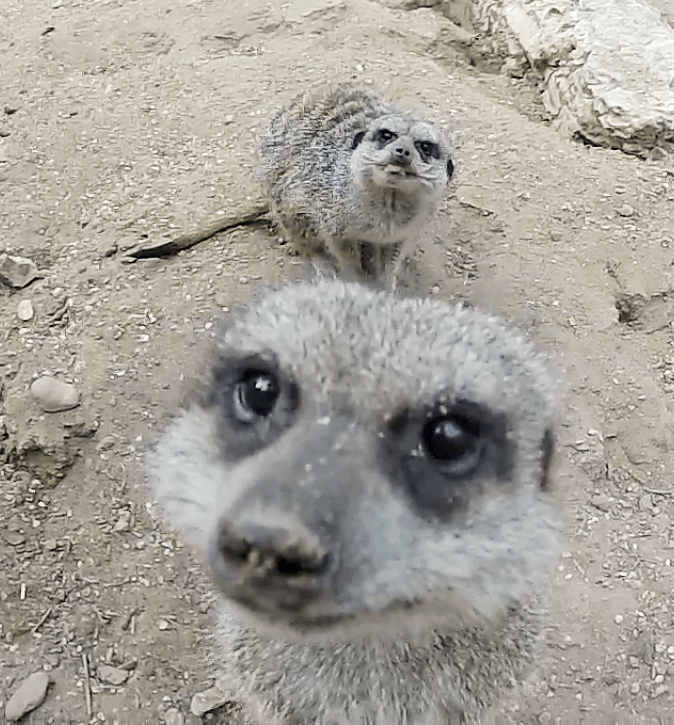 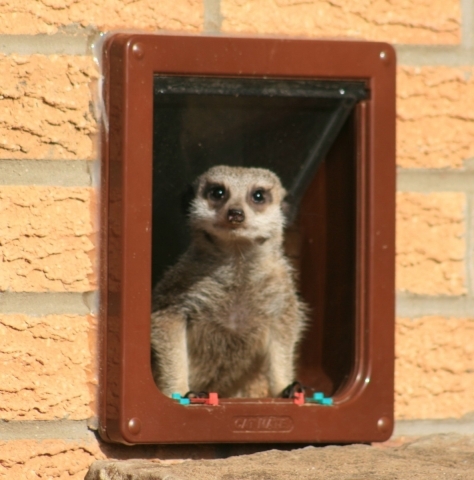 In captivity, meerkats have an average life span of 12-14 years, and about half this in the wild.